A Kinetrol USA Midwest Distributor specified a Kinetrol actuator on an extremely high cycle rate application in a coal fired power plant. The application is known as the “water box” and is part of the condenser vacuum-break system. 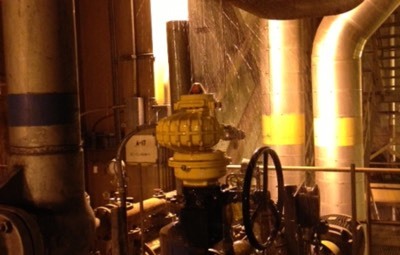 The valve and actuator operate an amazing 2880 times per day - thats over 1 million cycles per year! Get more information here FAST! © Copyright Kinetrol USA. All Rights Reserved.